On Sunday, November 26, 2017, over 300 Museum Stores representing all fifty states, five countries, and three continents will offer relaxing, inspired shopping inside your favorite museums and cultural institutions. Museum Store Sunday offers a special shopping experience in one-of-a kind stores, showcasing broad assortments of highly curated, unique, mission-specific gifts. From books to jewelry to children’s products to home accessories and gourmet food, there is something for everyone. Shop knowing you are supporting the missions and programs of each participating museum and cultural institution. 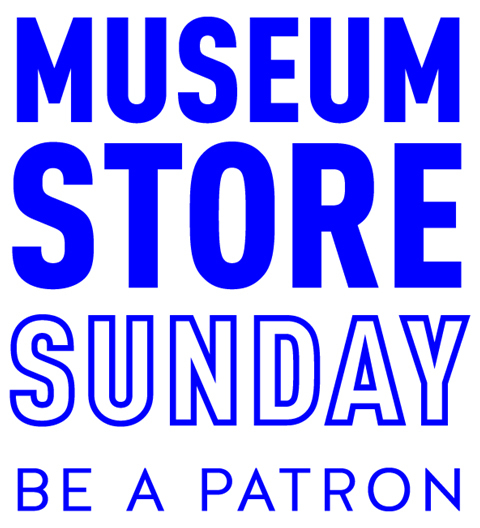 Museum Store Sunday is managed by the Museum Store Association based in Philadelphia, Pennsylvania, USA, in partnership with the United Kingdom’s Association for Cultural Enterprises, and the Museum Shops Association of Australia and New Zealand. Participation in Museum Store Sunday is open to all independently operated museum stores and non-profit retailers located at museums, zoos, aquariums, botanical gardens, historic sites, and other unique cultural institutions in the United States and internationally.